Eucomis Aloha Lily Leia is a dwarf pineapple lily. The foliage is green and ruffled on the edges. Plants grow around 1 foot tall and 1 foot wide with flowers held slightly above the foliages around 1 to 1 1/2 feet tall. The stems of the flowers are spotted and the flowers themselves are bright pink. A great plant for mass plantings and small to medium containers. 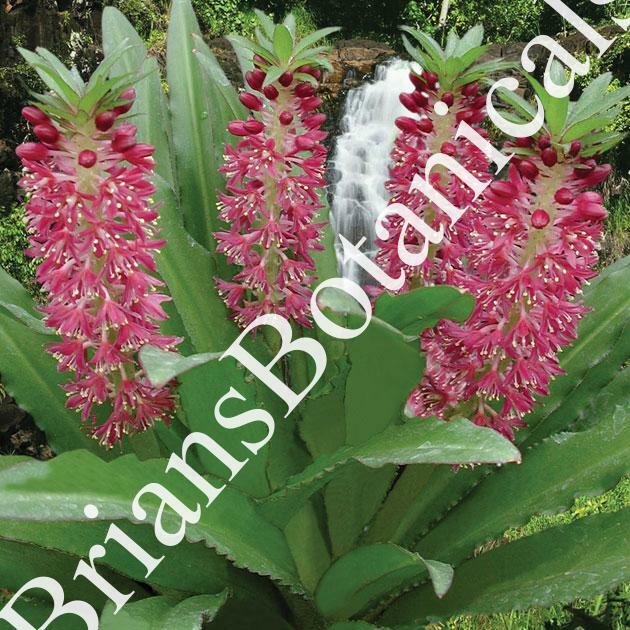 Eucomis are great for hardy tropical displays and most species here over winter with little to no protection in winter zone 6? hardiness. 7-10 hardy in zone 6 when mulched.